Second Harvest Food Bank is committed to ending hunger in Central Florida but we cannot do this alone. Advocacy is a crucial part of hunger relief, and we are advocating for programs and policies at all levels of government to provide nutritious food for the most vulnerable in our community. As one of the leading food banks in Florida, we are leveraging our knowledge and relationships to connect community feeding partners and client stories with policy-makers to support the end of hunger. You can become an advocate today by adding your name to our advocacy newsletter. Thank you for leanding your voice on behalf of families, seniors and kids in our community. Take the pledge below and join the movement to fight hunger in Central Florida. Become an Advocate: With nearly 500,000 Central Floridians at risk of hunger every day, Second Harvest advocates for policies and programs that support efforts to end hunger here and across our country. 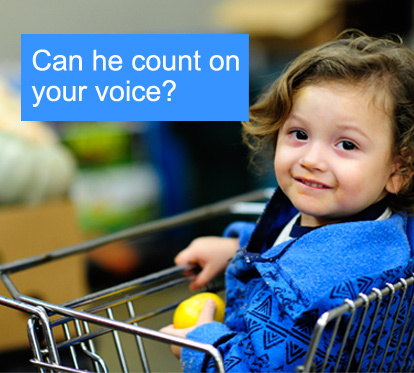 As the food bank builds a stronger community free of hunger, we need you to help us get there. Sign up for our monthly Advocacy Newsletter. Second Harvest works to educate the general public, community leaders and policy-makers on the causes and consequences of hunger as well as about food and nutrition programs. Second Harvest works to enhance and accelerate policies that impact hunger to strengthen the safety net and improve outcomes for low-income individuals. SNAP is the nation’s largest hunger-relief program that puts food into the hands of more than 350,000 Central Florida households. SNAP provides access to nutritious food for low-income families, seniors, veterans and persons with disabilities. Find out more about it here.